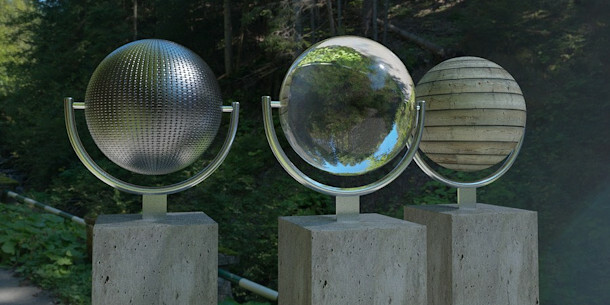 HDRMAPS – aka artist Grzegorz Wronkowski – has made 85 10,000 x 5,000px HDRI files available to download for free. The files are licensed for commercial use. The images, which are provided in EXR format, are largely exteriors, although they include both rural and urban environments, under a wide range of lighting conditions. As well as the HDRI itself, some come with sets of photographic backplates. Wronkowski has also just uploaded a new synthetic aerial HDRI, created in Terragen and provided at 8,192 x 4,096px resolution. HDRMAPS also has a range of commercial HDRI files avaiable for purchase, either individually or in bundle deals, plus HDR sky domes and video footage. If you’ve read our previous story on HDRMAPS, it’s worth checking back: since the last time we covered the site, new files have been added, and the resolution of the free HDRIs has been increased.